It takes true understanding and high expectations to be a teacher in urban education. At least that’s the way Alexia Jones (’18) approaches her career. Research shows the odds of educational success are stacked against diverse learners, so accountability is key. To Alexia, becoming an urban education teacher is not just a job, it’s a daily opportunity to remind her students that she believes they can accomplish great things. Those who teach will tell you that being a teacher is not a comfortable career. In fact, it can be quite uncomfortable, those who have stepped into the role as educators, mentors, and motivators know that each day serves a higher purpose. That’s part of Concordia’s goal: to graduate teachers—like Alexia—who possess a desire to make an uncommon impact on students, sparking them to step out of their comfort zones, try new things, learn new ideas, and use their gifts and talents in the service of others. It was a human relations class her sophomore year at CUW that inspired Alexia to be an urban education teacher. The class visited a school and experienced firsthand the impact that classroom management and strategy has on carrying out a curriculum in an urban setting. Soon after, Alexia decided to spend the next summer teaching for the Center for Urban Teaching (CfUT), an independent, Christian non-profit that identifies, prepares, and supports high-performing urban teachers and leaders for choice, charter, and public schools. She has taught for the CfUT every summer since. Her quiet energy keeps the classroom calm. 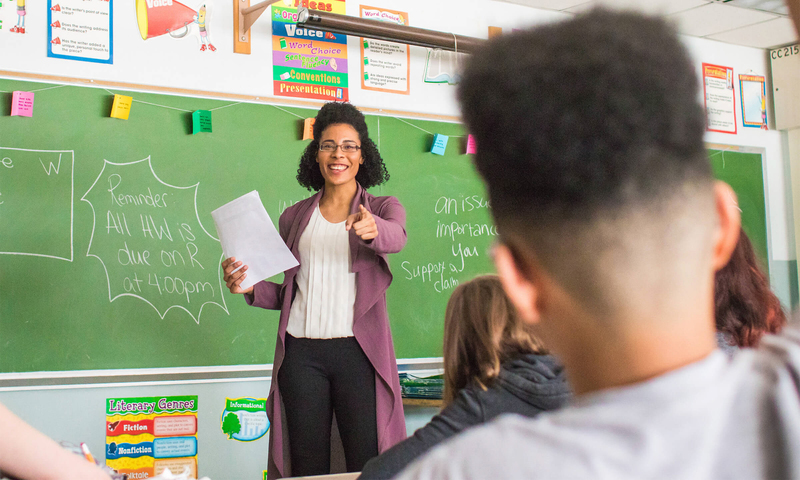 Alexia gives detailed instructions so that there’s no wiggle room, and keeps the vibe positive by praising or high-fiving students for doing things well rather than focusing the room’s attention on misbehavior.